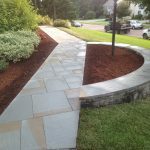 Here are several of our recently completed projects! 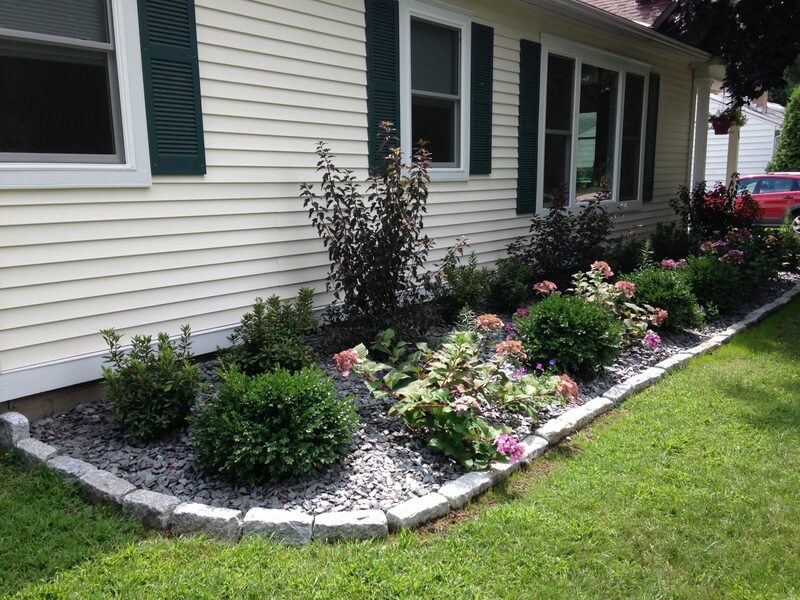 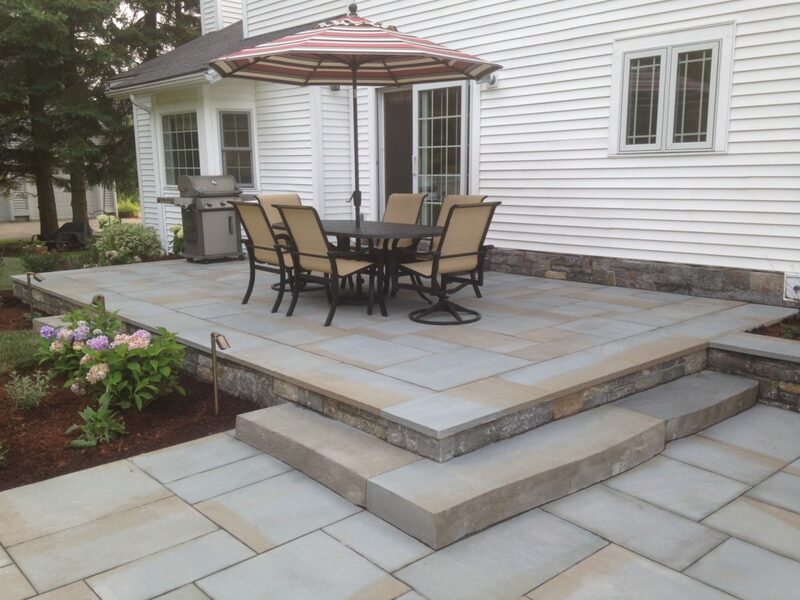 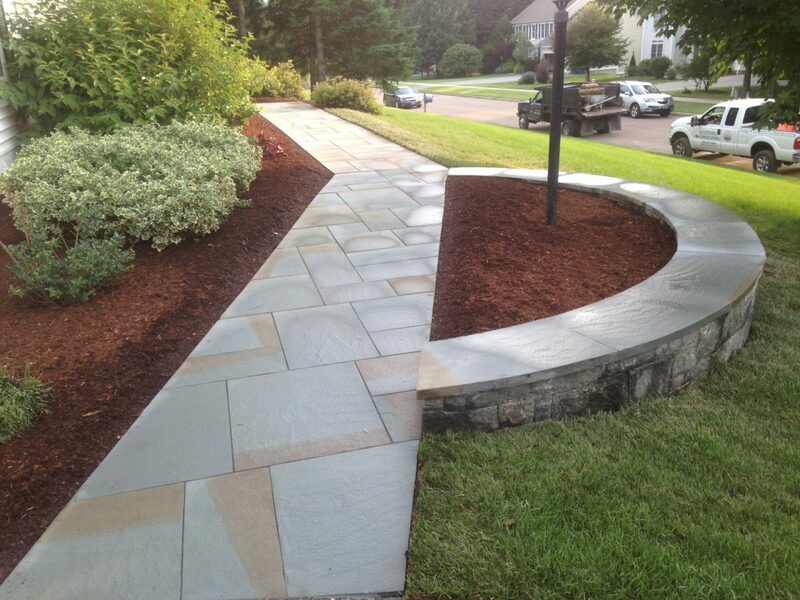 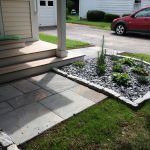 At this Burlington, Vermont residence we installed a bluestone walkway and landing, as well as granite cobble edging. 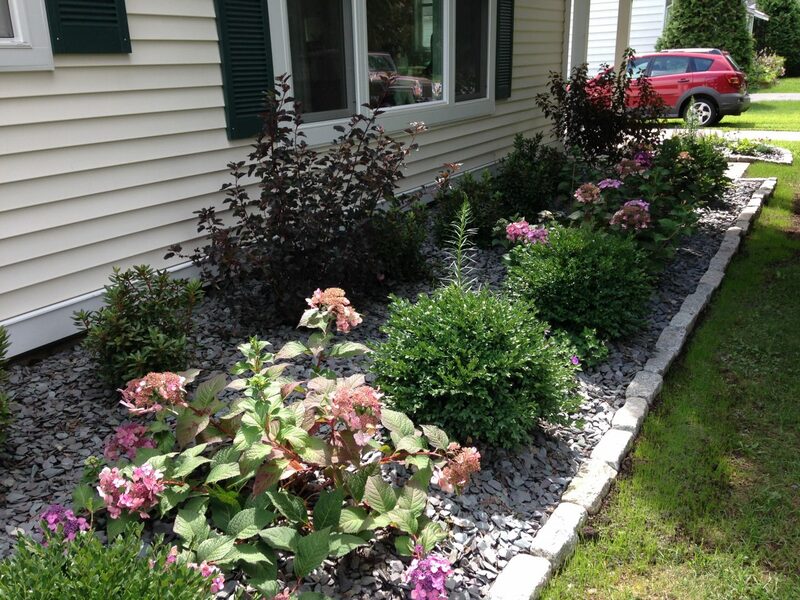 Plant material for the foundation beds is a mix of flowering shrubs and perennials. 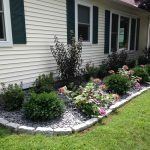 The clients asked us to re-use their stone mulch to control the weeds, which gives the beds a unique look. 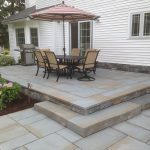 This Williston, Vermont residence now has a multi-level thermal bluestone patio for entertaining and a more functional bluestone front walkway. 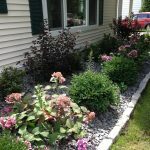 There are also plantings of mixed flowering and evergreen shrubs, as well as perennials with varying bloom times. 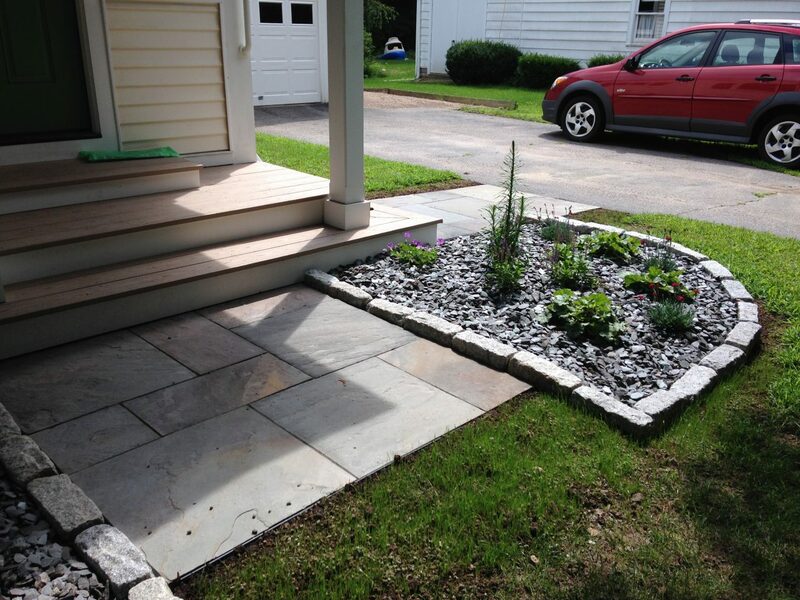 There are stone planter boxes and sitting walls with lights incorporated into them on site as well. 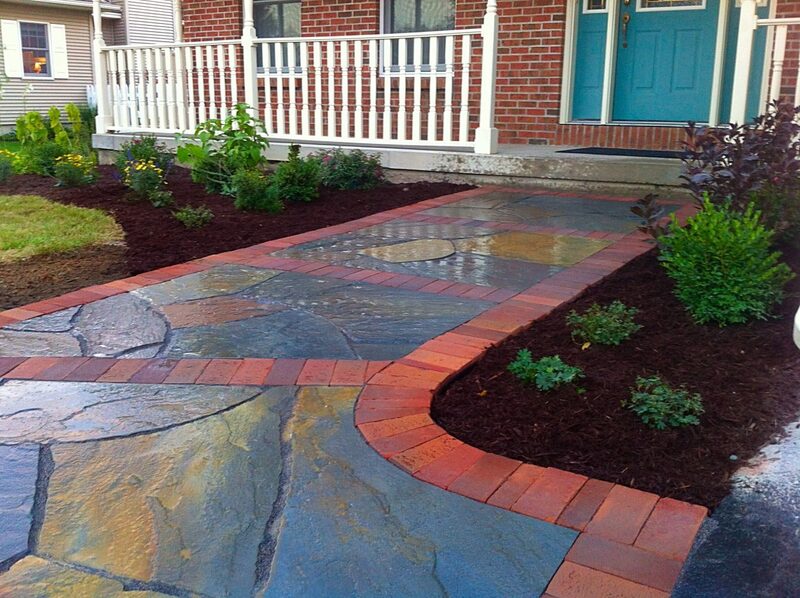 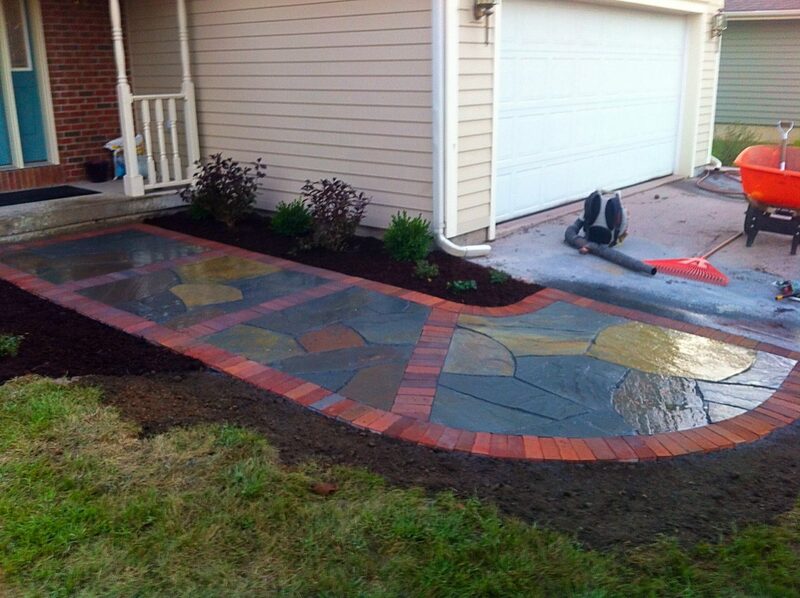 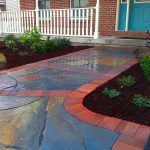 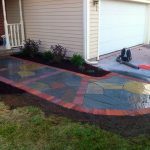 This beautiful irregular bluestone and brick walkway now leads to the front door of this Plattsburgh, New York home. 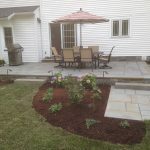 Foundation plantings consisting of mixed shrubs, perennials, groundcovers and a weeping Crabapple were also part of this installation. 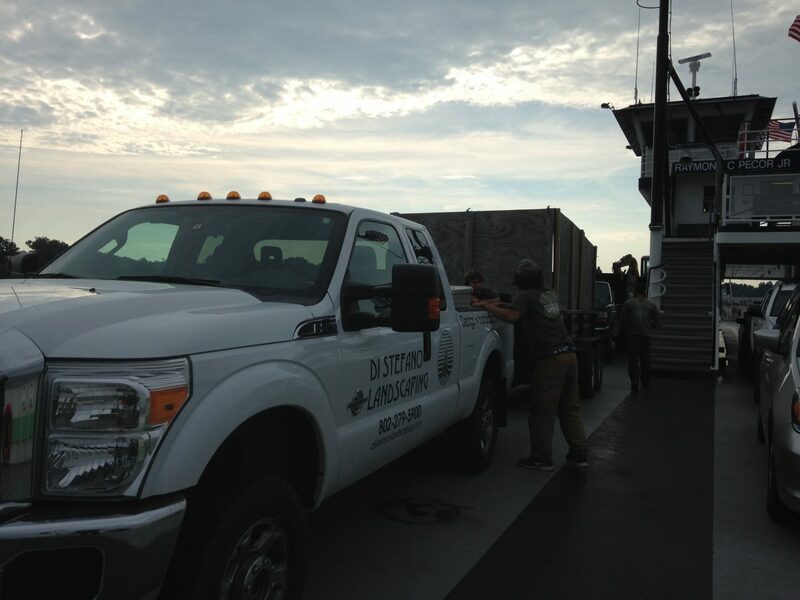 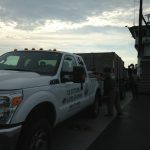 Riding the Grand Isle Ferry made for a great way to start the day! 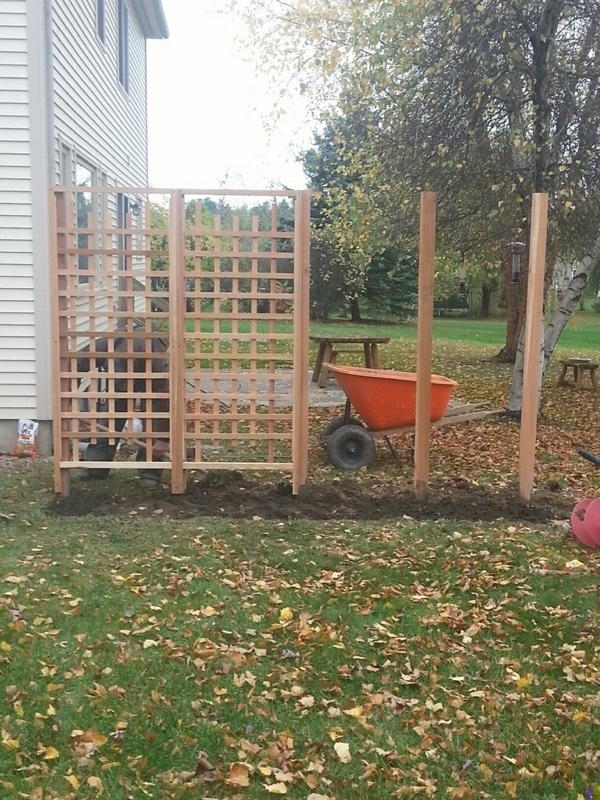 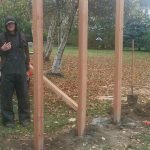 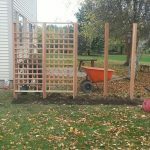 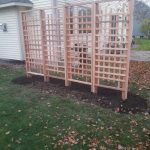 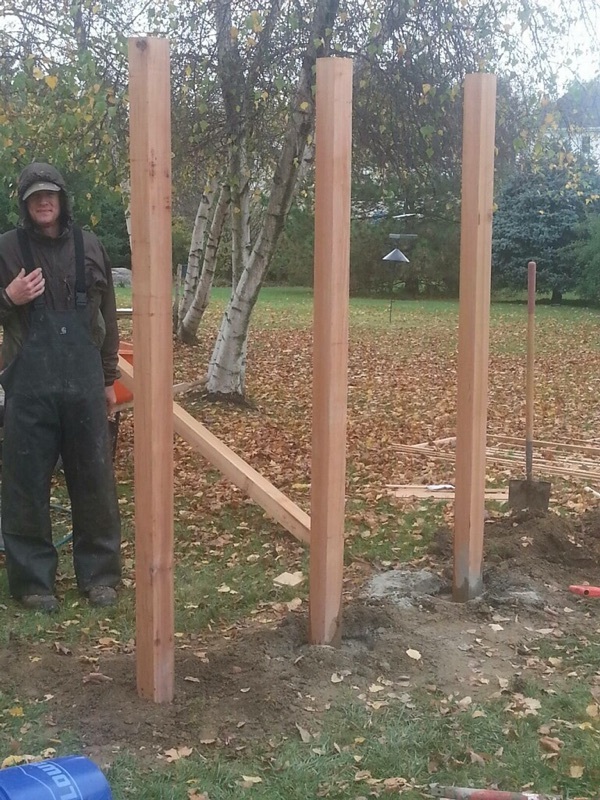 A cedar trellis for screening the neighbor from their new patio was installed at this South Burlington, Vermont residence. 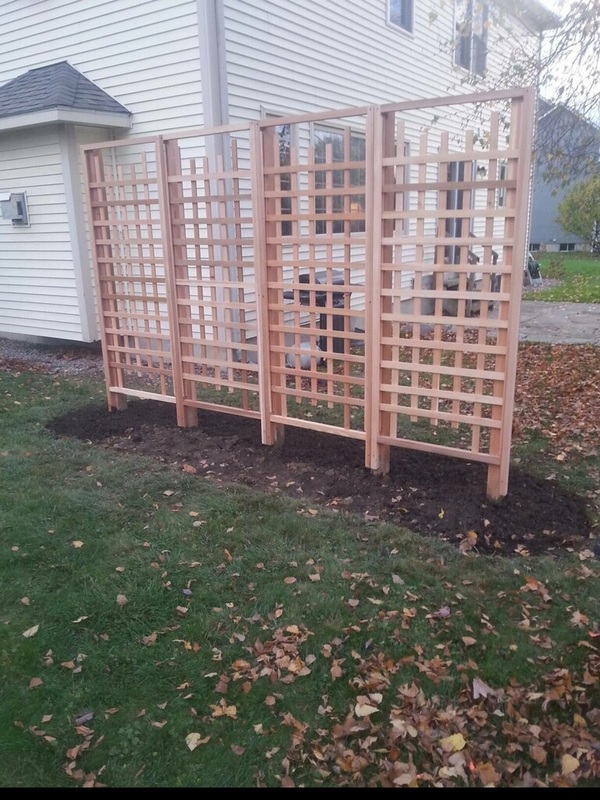 The homeowner is planning to plant a mix of flowering vines on it in the spring. 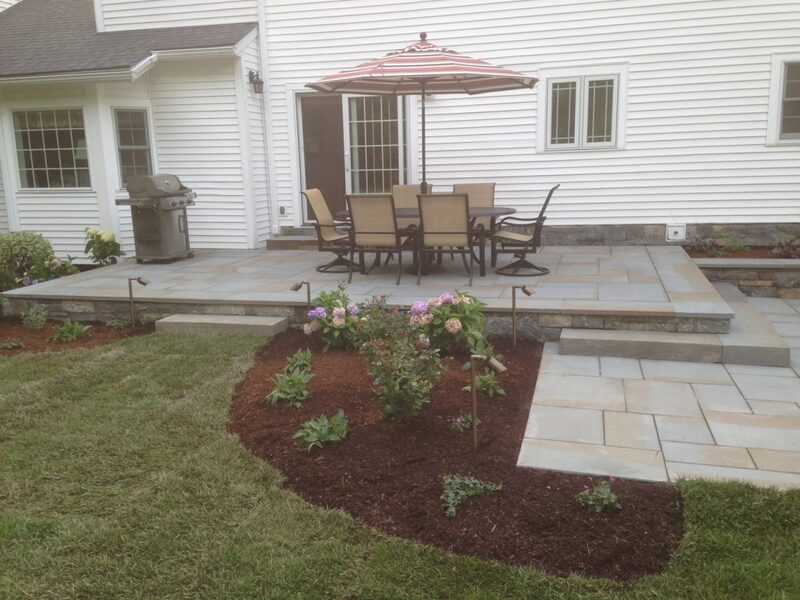 To see more photos of completed projects and ones we are working on check out our facebook page!